War has overtaken the land. It matters not where loyalties lie, you are bound to follow the merest whim of an evil liege. 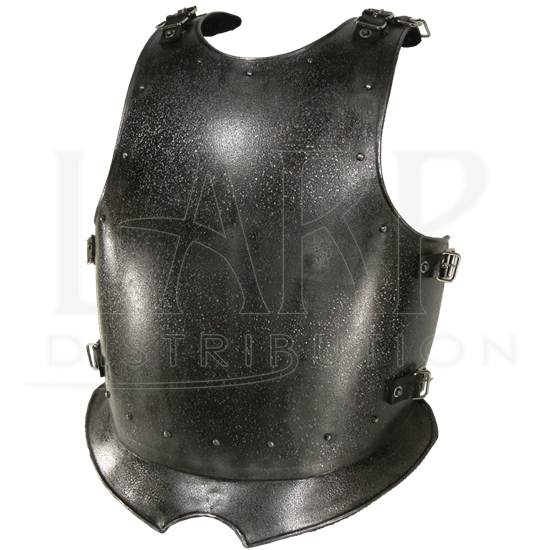 Armor yourself with the Breastplate Dark Warrior- Epic Dark - Size Large as you join your kinsmen in battle. 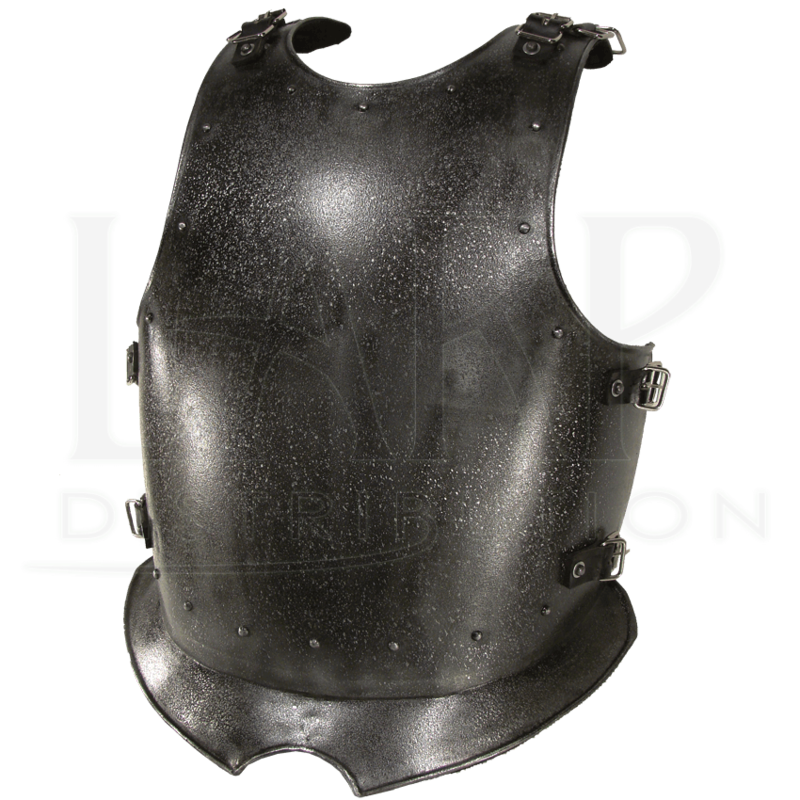 Crafted from 18-gauge mild steel, the breastplate may be worn with or without a backplate, allowing you to create the look you desire, while preventing unnecessary injuries. An oxidation resistant coating not only provides a dark metal finish, but aids in rust and scratch prevention. The breastplate follows a traditional design. A V-shaped flange and rivets increase its deflection capability. The buckle straps at the shoulders and sides allow easy attachment to a backplate or pauldrons. The Breastplate Dark Warrior- Epic Dark - Size Large matches perfectly with the Blackplate for Dark Drake or Dark Warrior Ã¢â‚¬' Size Large. Length from Shoulder to Hip: 25 Inches.